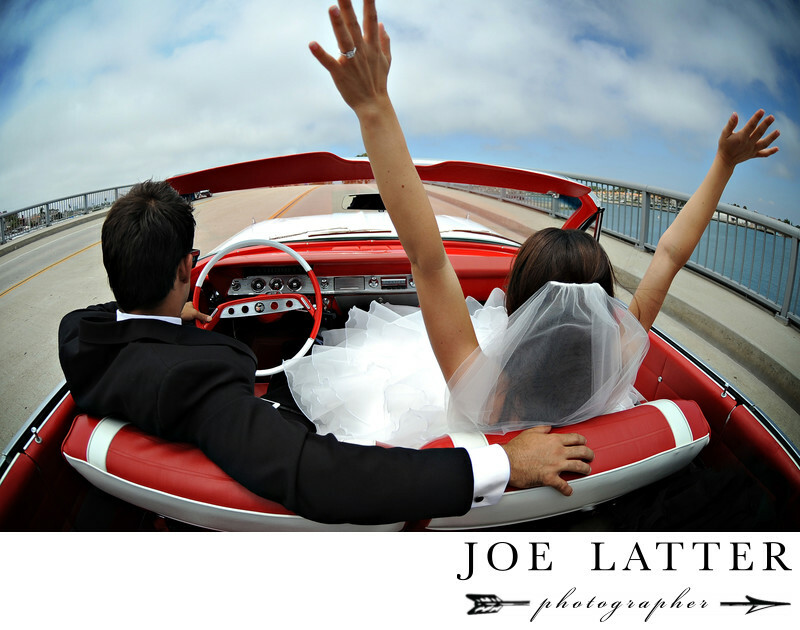 I shot this image as my bride and groom left their wedding at The Loft on Pine in Long Beach and drove off in the groom's classic convertible car, a Chevy Impala. I always look for a story in each of my photos and you can just hear the bride saying with relief, "We did it!" as the escape to start the rest of their new life together. There are so many great location in Long Beach like the Long Beach Marriott, The Ebell Center, The Long Beach Museum of Art, The Queen Mary, The Hyatt Regency, The Loft on Pine, and the Petroleum Club.